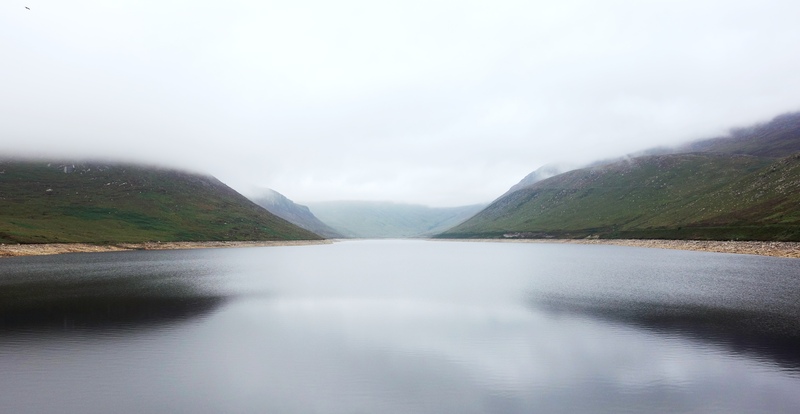 Its maybe hard to believe, but Northern Ireland was once short of water so someone decided to build a big storage place to gather all the rain that keeps falling on our heads for 364 days of the year (it seems) and they called it Silent Valley. 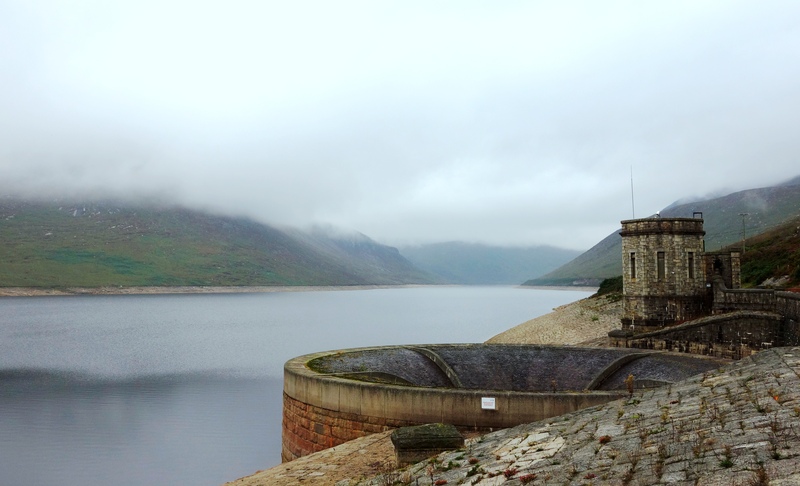 Silent Valley now supplies water for most of County Down and Belfast and it was built between 1923 & 1933 using a workforce of over 1000 men – 8 of whom died in the process. 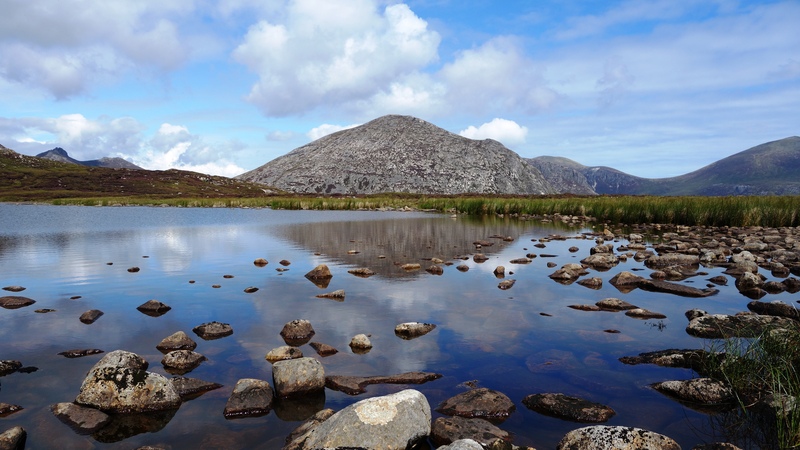 Its situated near Kilkeel and the water supply to fill the dam included diverting a river from Annalong which meant they had to tunnel a 3.62km hole through one of the Mourne mountains (Slieve Binnian) which was an amazing feat lit by using just candlelight. 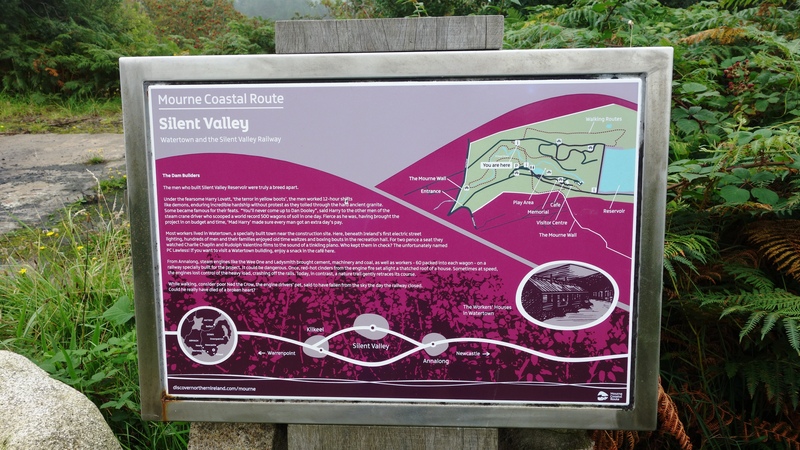 Today, Silent Valley gets 50,000 visitors a year with most coming to experience the stunning views and make use of the many trails and walks around the area. The park has an information centre, a conference centre, and an education centre, all set inside some old bungalows (see below) and there’s a cafe there too. 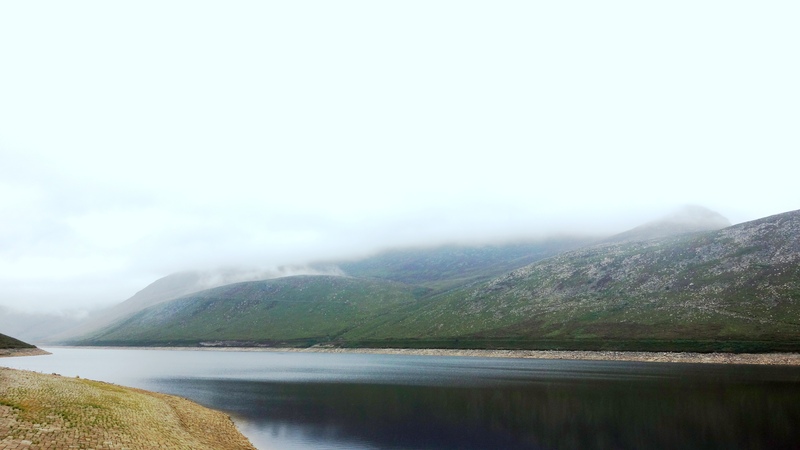 The famous Mourne Wall also cuts through the park which was constructed to mark out the catchment area for the Silent Valley dam. Its maybe not as good as the one in China but its still pretty impressive when you see it fade off into the distance. 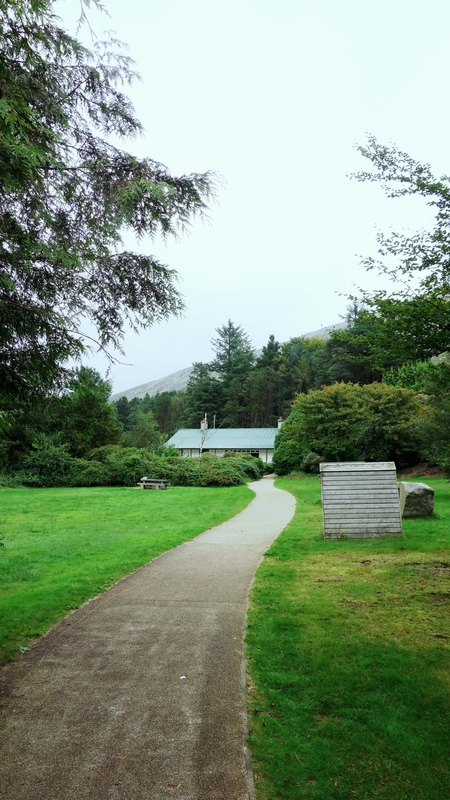 After parking your car (its £4.50 entrance fee for a car full of people at time of posting) you walk along the path before arriving at the information centre above. Nothing too impressive yet. The first picture is looking up the reservoir from the walkway embankment. Even on an overcast day like this its still pretty impressive. The second picture is looking across from the left hand side of the water. A little bit of back story about the men who built the dam. They even had their own workers village called “Watertown” and you can still see some of the old foundations of Watertown next to this sign. 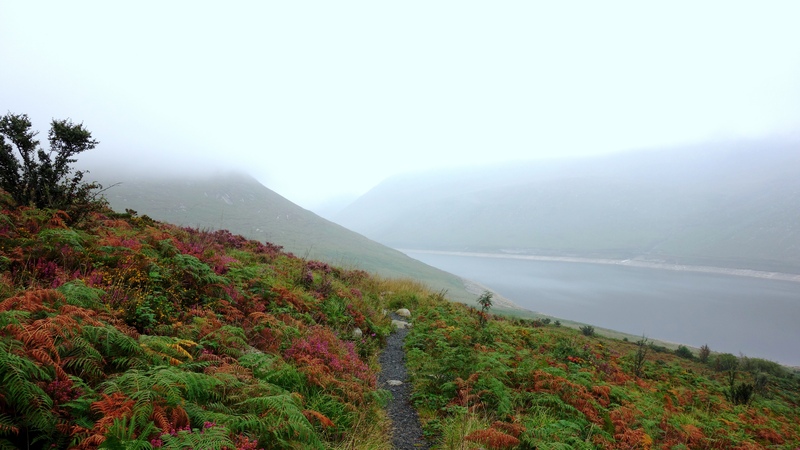 There are 5 walking routes around Silent Valley with one to suit every ability. I did the “Mountain Trail” (3.4km) route which is considered moderately difficult but it really wasn’t that bad. It gives good views over the reservoir from the left hand side of the water (as you come in). This picture was taken from near the top of the mountain trail. 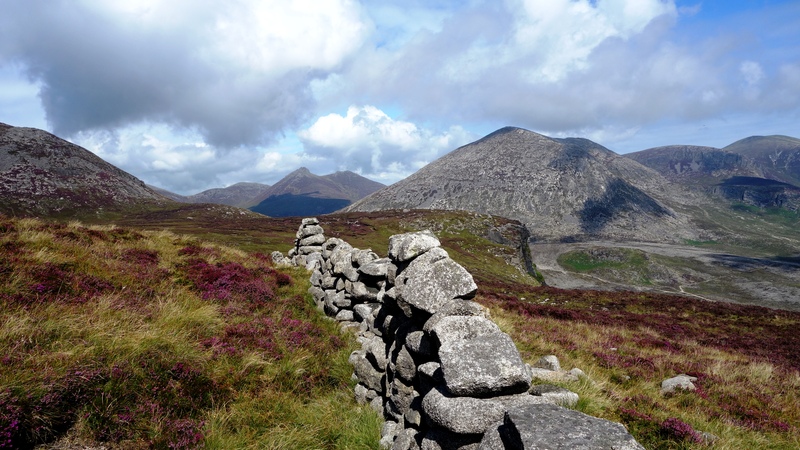 As you descend from the Silent Valley mountain trail you’ll reach the Mourne Wall which usually becomes a feature of many of the Mourne mountain range walks given its meandering 22 miles of length. Its always stunning to see it disappear off into the distance. 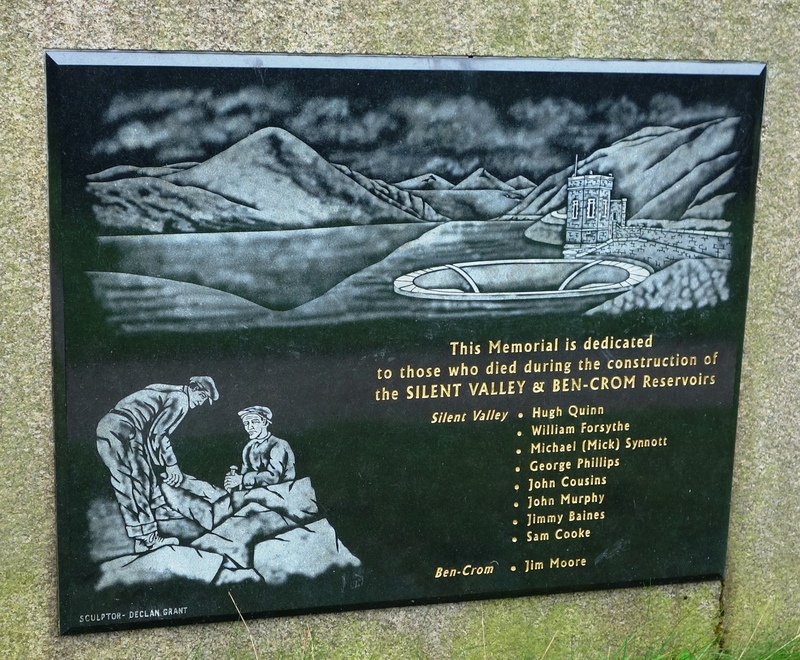 And finally, a little plaque in memory of the 8 men who died in construction of the dam (and one at Ben Crom dam too). 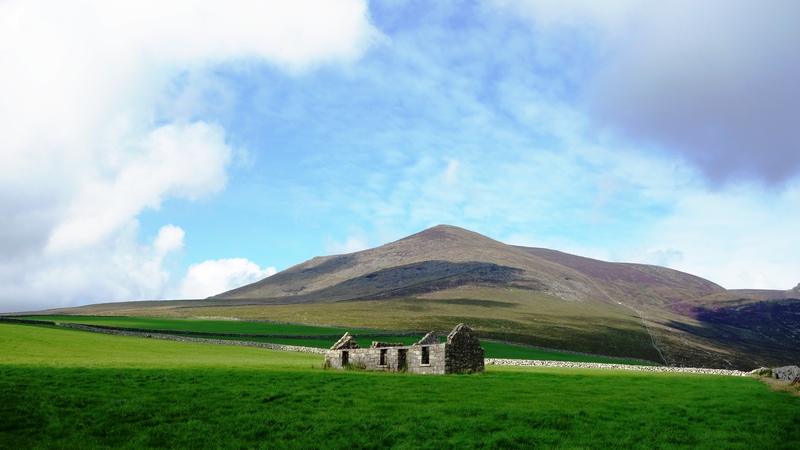 There are so many amazing walks through the Mourne mountain range in County Down, and sometimes its just hard to fathom how such a vast area even exists in Northern Ireland given the country is so small. 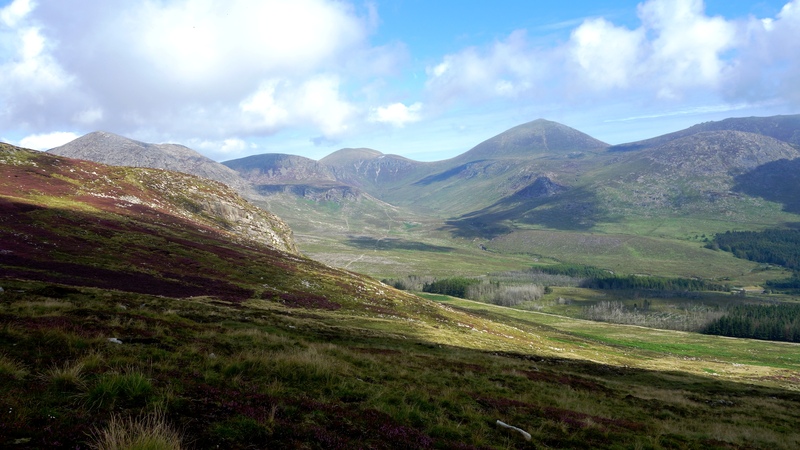 When you’re in middle of any of these walks you can see for miles (sometimes without a person, or particularly any sign of civilization, in sight). Which is a fantastic feeling when you just want to get away from it all. 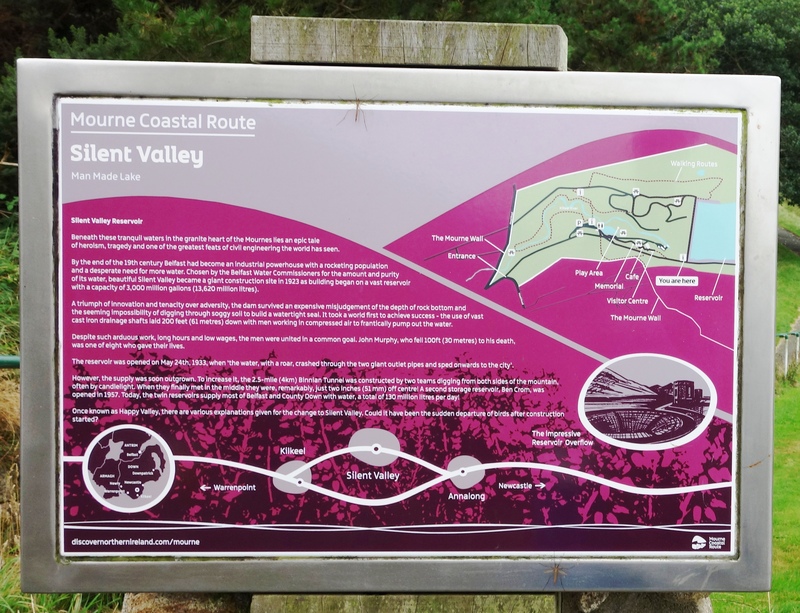 For this route, make your way to the Carrick Little car park which is at the junction of the Head Road and Oldtown Road near Annalong. 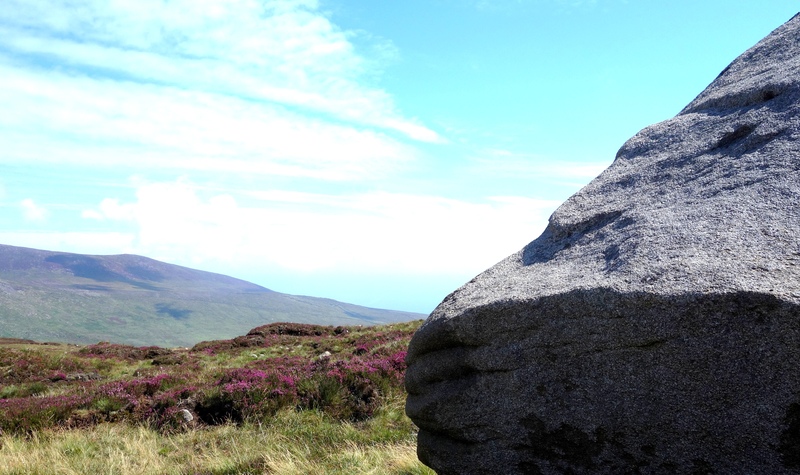 The Mourne Rambler bus departs from Newcastle Bus station on a regular basis during the summer months for here. 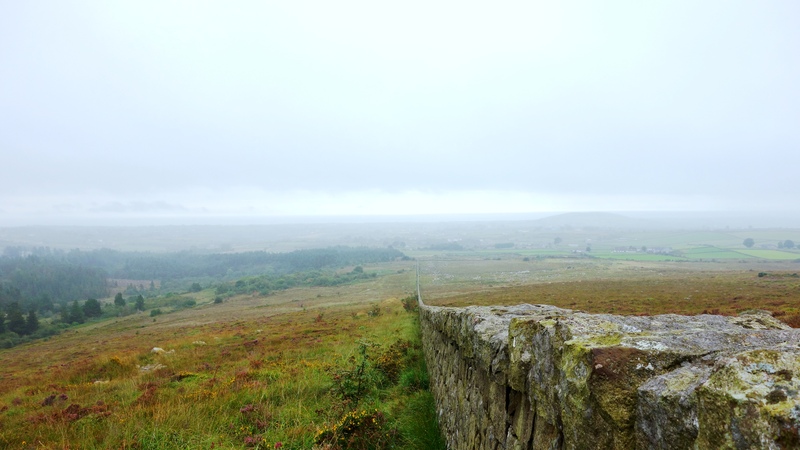 From the Carrick Little car park, follow a clear, stony track that rises gently between the fields. Note the boulder walls alongside. You’ll soon see this old cottage in the middle of a field to your left. I wonder who lived here? 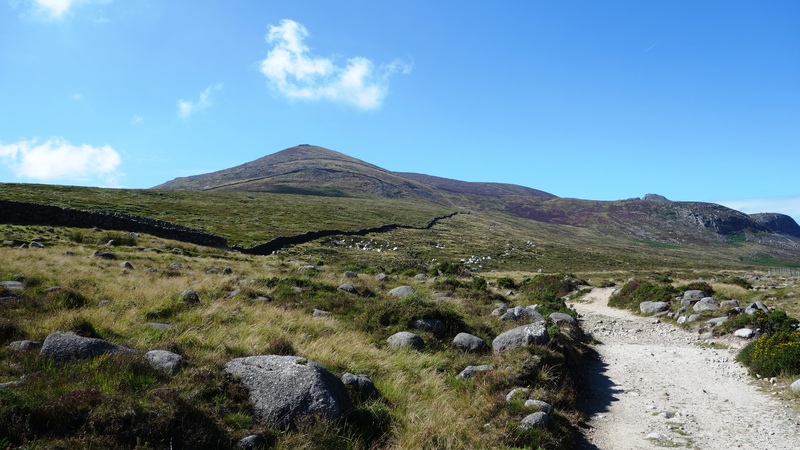 At this point leave the wide trail here and go over to your left following the stone wall that takes you upward to Slieve Binnian (thats it ahead in the picture). 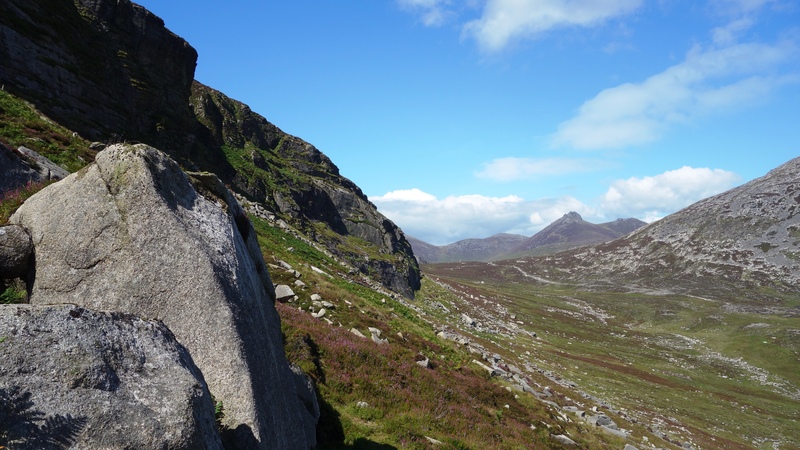 We were lucky with the weather as the Mournes can be unpredictable (bring some suitable gear anytime you visit outside the Summer months). Its not long before you’re treated to a stunning view like this. Thats Slieve Donard in the distance here (just right of center of the picture) the highest peak not only of the Mournes but in the whole of Northern Ireland.